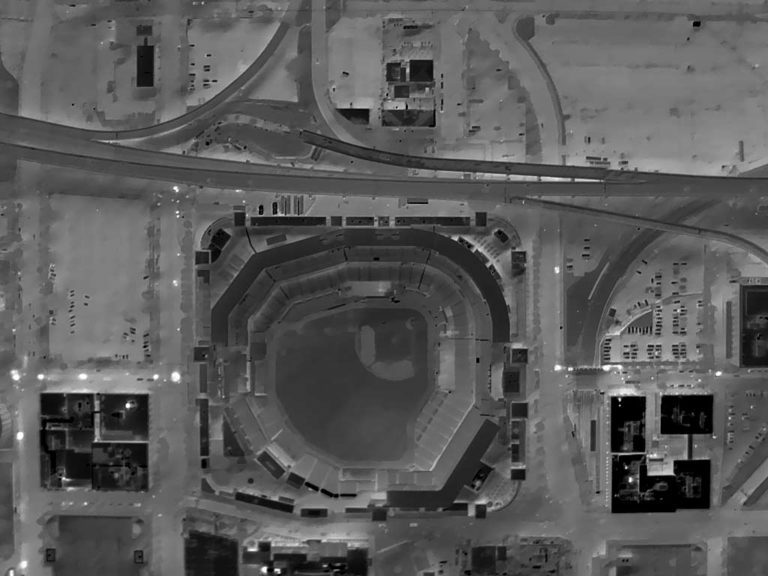 Aerial Thermography in St. Louis, Missouri | Idaho Airships, Inc.
Aerial Thermography in 2018: Boise, Riverside, St. Louis, Etc. The images below represent some interesting results from both vertical (orthogonal) and oblique aerial thermography throughout 2018. It must be noted that references to temperature are actually referring to the “apparent temperature;” though some parameters have been adjusted, they should not be interpreted as bona fide quantitative results nor used for any purpose without a qualified/certified interpretation. Aerial Thermograph of Busch Stadium and Context, St. Louis, MO. 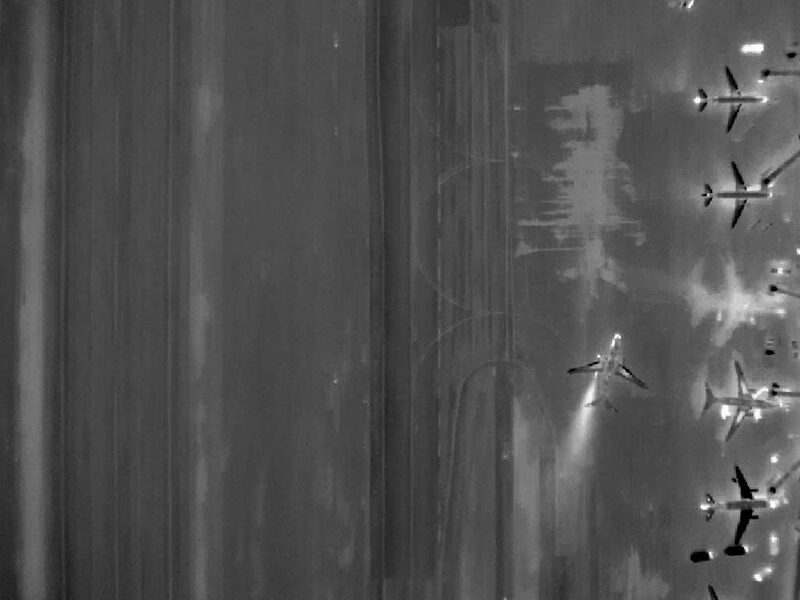 Aerial Thermograph of a Boeing 727 During Engine Start at The Boise Airport During January, 2018. 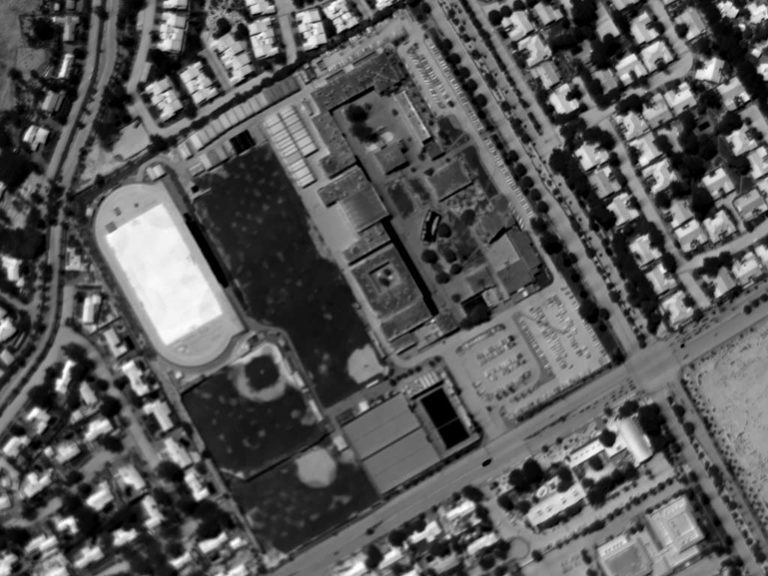 Daytime Aerial Thermograph of Riverside (California) Poly High. The Apparent Temperature of the Synthetic Turf Approximates 180°F. Aerial Thermograph of Front St. Just North of the JUMP Complex in Downtown Boise, Idaho. 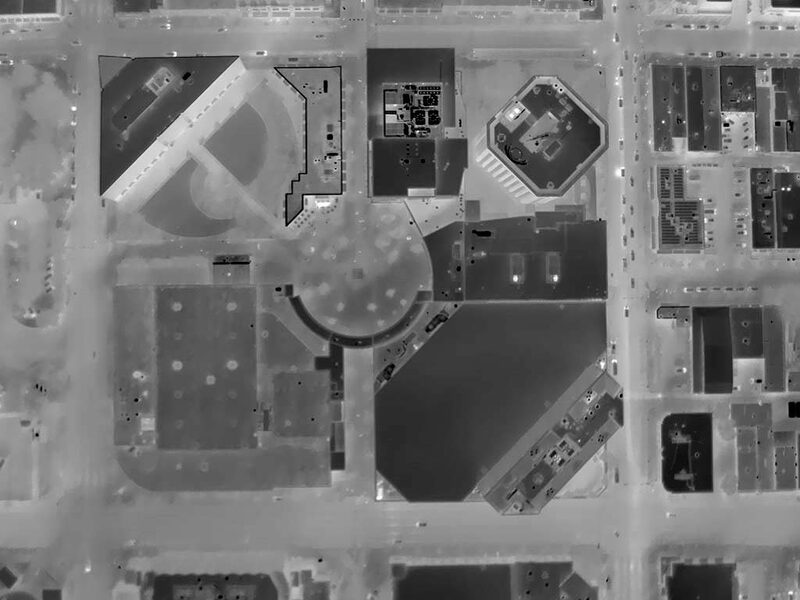 Aerial Thermograph of the Idaho State Capitol Mall Area in Downtown Boise, Idaho. 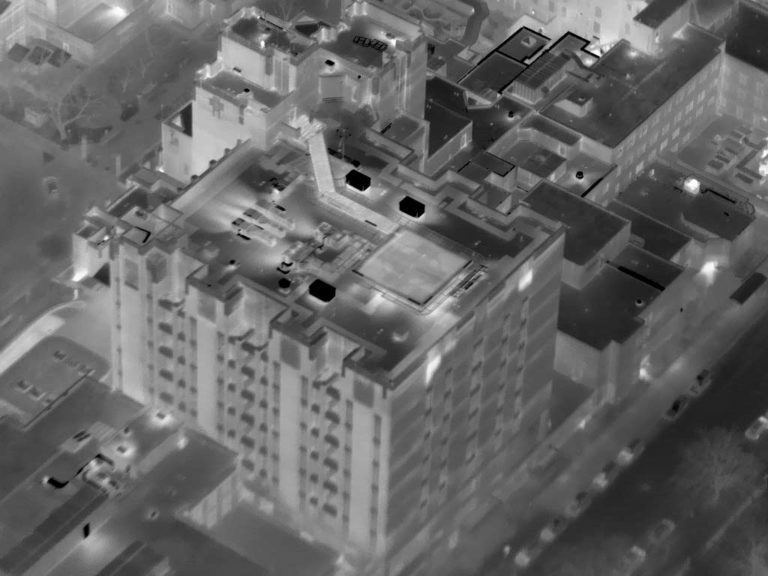 Aerial Oblique Thermograph of the St. Lukes RMC Tower in Downtown Boise, Idaho. 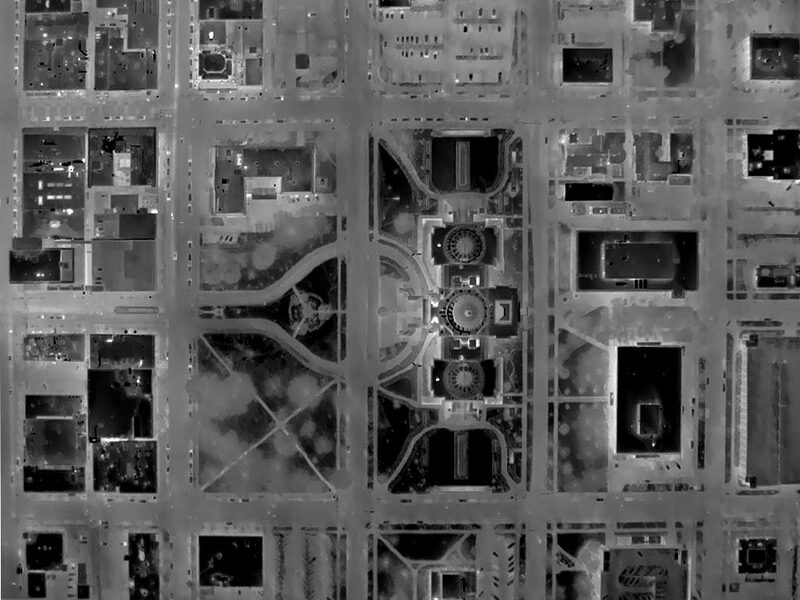 Orthogonal Aerial Thermograph of America's Center (St. Louis, MO Convention Center) in St. Louis. 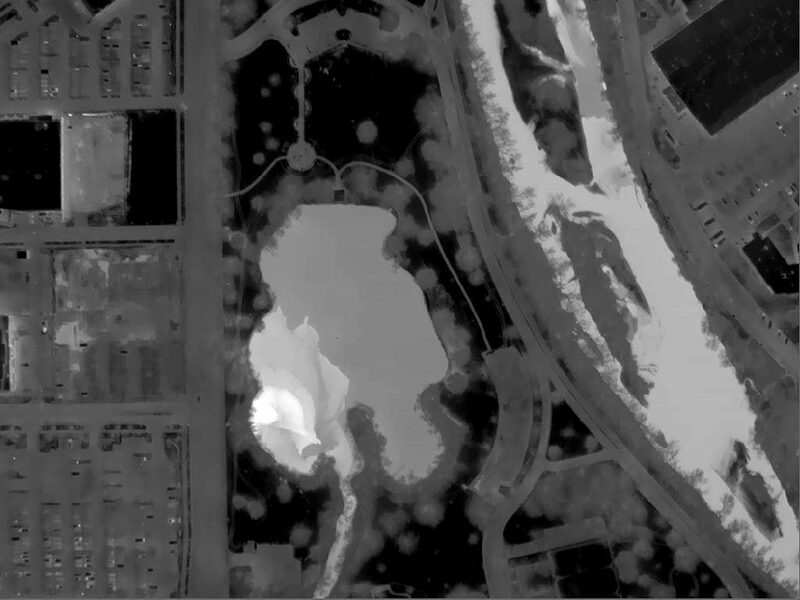 Aerial Thermograph of Parkcenter Pond and Logger Creek Near Downtown Boise, Idaho. Aerial Thermography Enjoys Potent Hydrologic Applications. 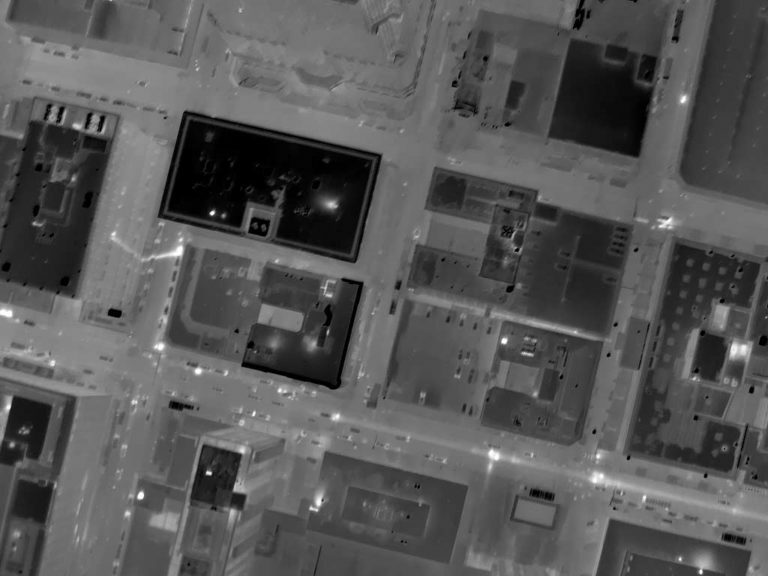 Night Aerial Thermograph of Downtown St. Louis, MO, Near 4th St. North and Pine. An Issue and It's Reflection are Obvious. Approximate Ambient Air Temperture 20°F Without Respect to Urban Canyon Microclimatologies. Aerial Thermograph of the Boise Centre in Downtown Boise, Idaho. 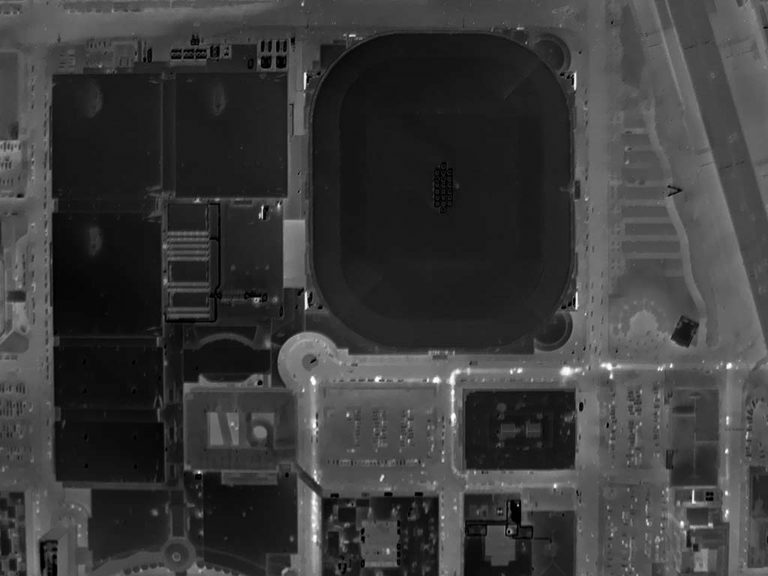 This image was acquired at night on 10/27/18. 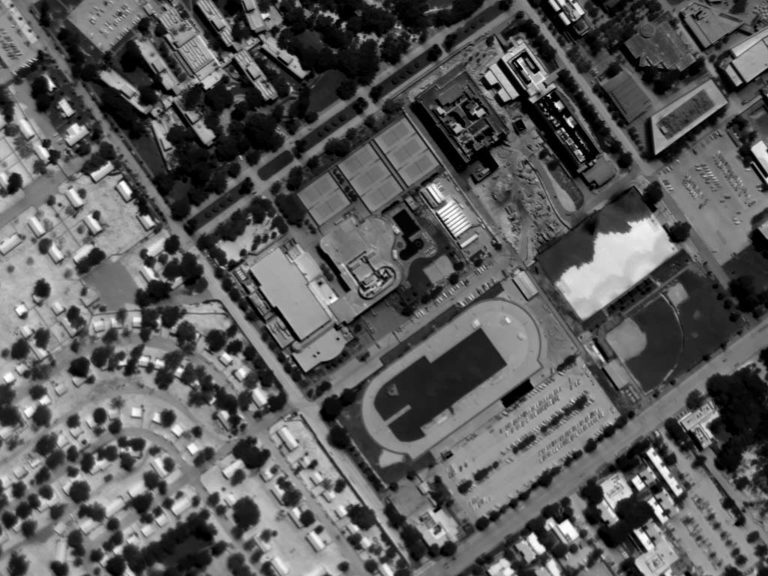 Daytime Aerial Thermograph, University of California Riverside. 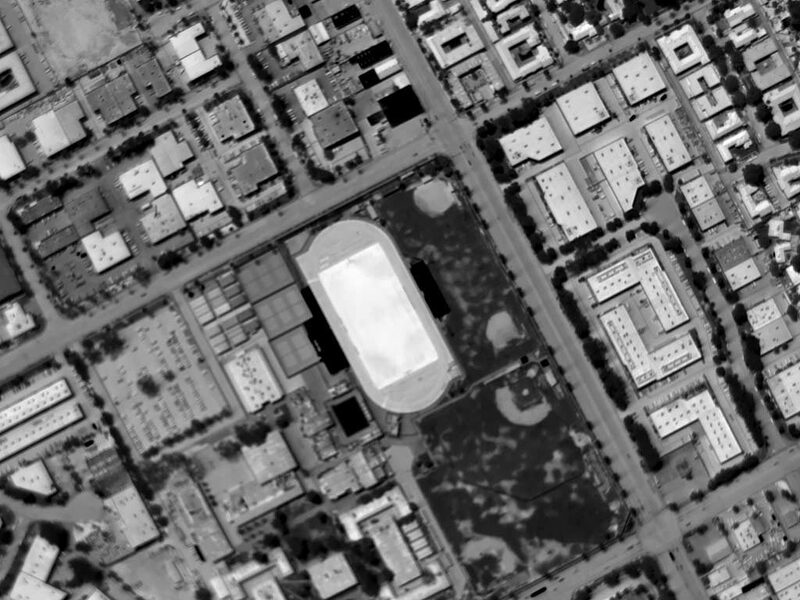 The Anomalous Patterning on the Right Side is the UCR Soccer Field (Synthetic Turf) Adjacent to a Construction Site. 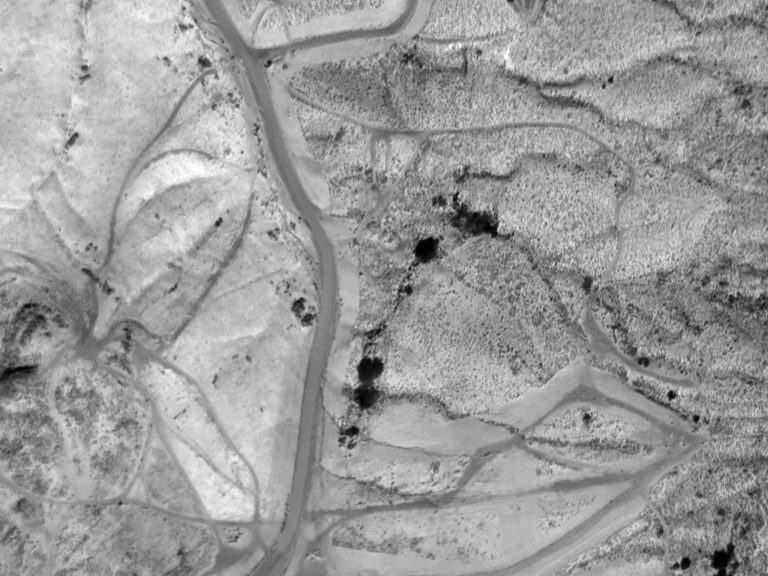 Daytime Aerial Thermograph of Rural Area Near Riverside, California (33.958701°, -117.29749524°) Assessing Insolation, Etc. Aerial Thermograph of Julia Davis Park Pond and the Boise River Adjacent to Boise State University in Downtown Boise, Idaho. 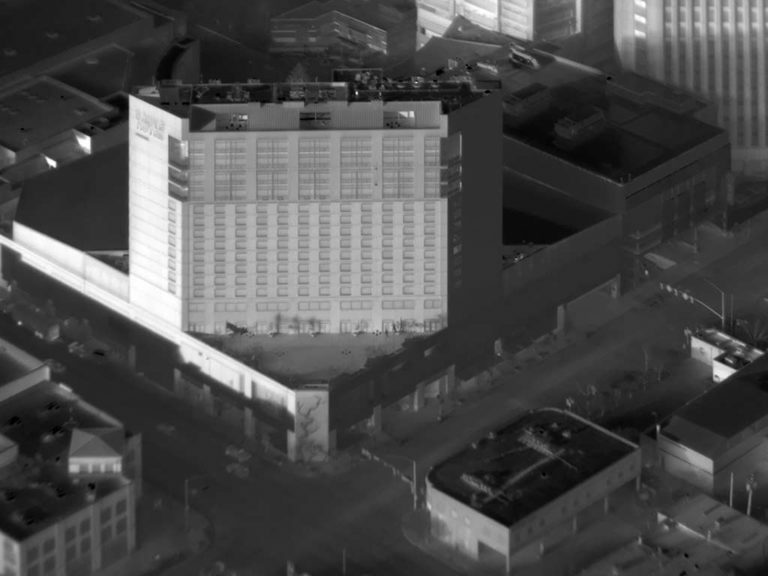 Oblique Daytime Aerial Thermograph of the Grove Hotel in Downtown Boise, Idaho. 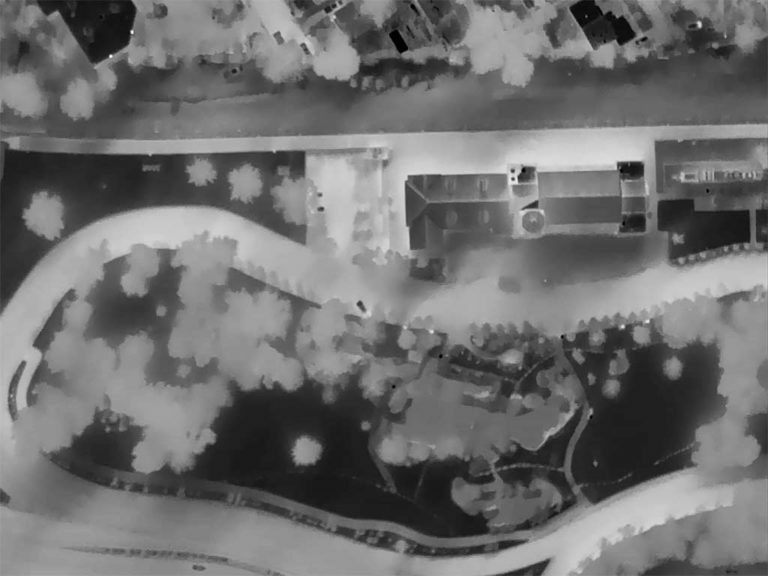 Aerial Thermograph of the Boise Depot and Platt Gardens, Boise, Idaho. Daytime Aerial Thermograph of John North High School in Riverside, California. 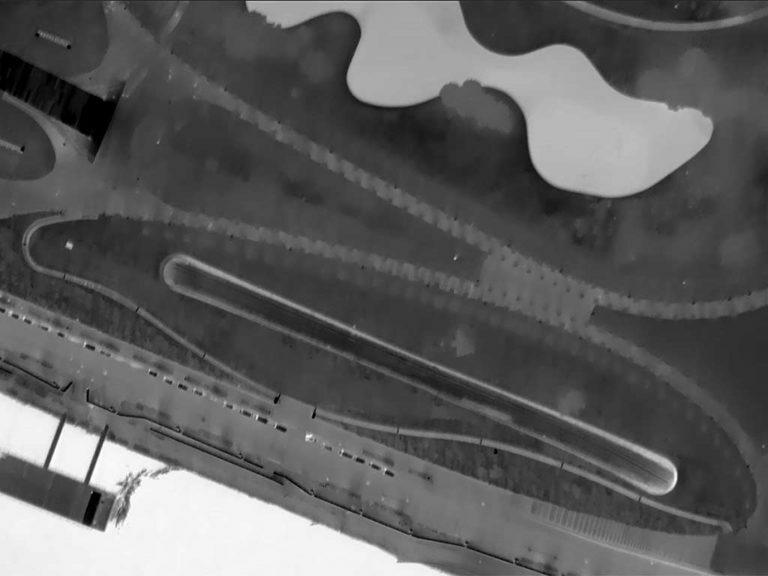 Ambient Air Temperature Approximated 105°F; The Apparent Temperature (AT) of the Synthetic Turf is Approximately 180°F; the Adjacent Natural Turf AT is Approximately 95°F, and the Infield Dirt Approximately 145°F. 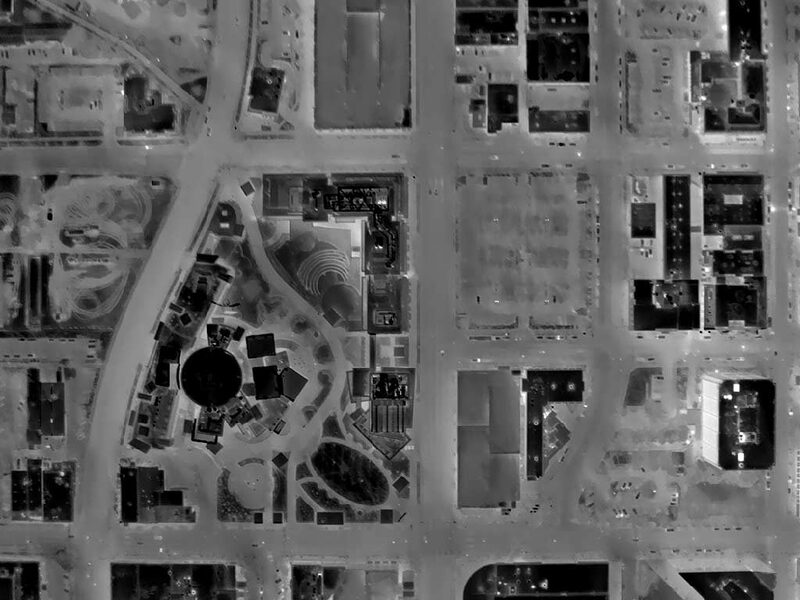 Orthogonal Aerial Thermograph of the St. Louis (Gateway) Arch, (38.624489°, -90.184797°).